This 1 light sconce highlights a white frosted glass shade to match contemporary dicor. The vanity bar can be mounted up or down to suit your personal style. The fixture is finished in brushed nickel which matches most home styles. Add a classic touch to your bathroom or hallway with Hampton Bay's 1-Light Vanity Light in Brushed Nickel finish. Featuring a grape motif and stunning brass finished construction, this light complements any traditional décor. The light shade is crafted with delicate, softly glowing glass to add just enough light for a relaxing atmosphere. 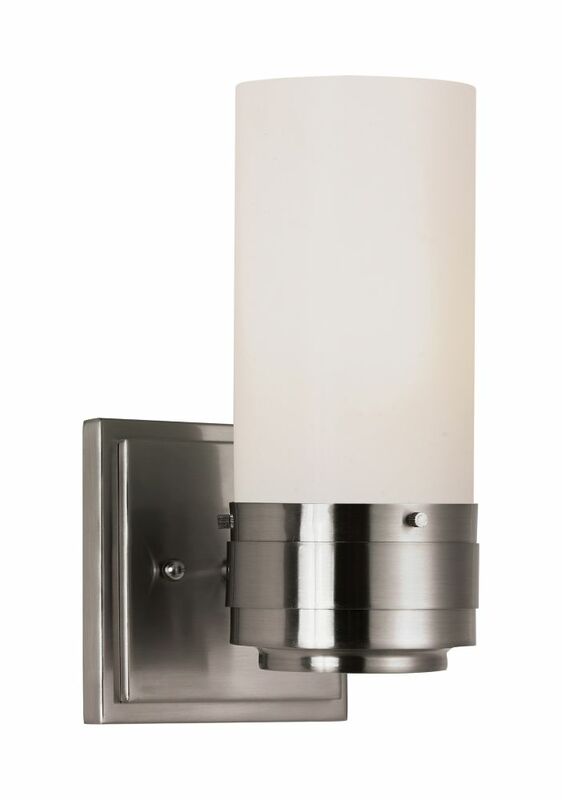 1-Light Brushed Nickel Sconce This 1 light sconce highlights a white frosted glass shade to match contemporary dicor. The vanity bar can be mounted up or down to suit your personal style. The fixture is finished in brushed nickel which matches most home styles.